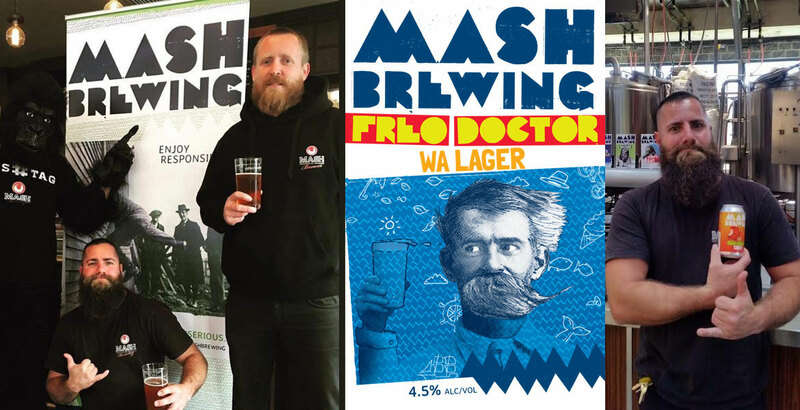 As it prepares to launch into its second decade of brewing, WA's Mash is starting afresh. Inspired by one of the newest members of the brewery team, they've unveiled a new look and are set to release some of their beers in cans too. After years of changing ownership, management and brewers – plus concerns over consistency – a new team at Kooinda hopes a brand refresh and the outsourcing of much brewing will see the much-loved brewery rise again. After two sessions, we've now put 40 Australian brewed IPAs to the test. In part II, we set about blind tasting beers weighing 6.5 percent and above. And here's the results; how did your favourites fare? In advance of publishing the results from part II of our IPA blind tasting, our Resident Beer Scholar returns with a look at the style. Busting myths and telling the IPA's tale from the 18th century through to today's frenzied hop obsession. We're not big fans of lists here at Crafty Towers, but with so many new beers released every week we felt we'd make an exception to take stock midway through 2016. We asked contributors to nominate their best new brews and here are the top picks. It's been a while, but our blind tastings are back. And, having punished panelists with some less than thrilling lineups previously, here we tackle flavour of the month IPA. With so many now available, we're splitting the tasting over two panels. Australia is set to get its first IPA brewing company. Fixation is a new venture between the Stone & Wood Group and IPA-loving former Mountain Goat rep, Melbourne beer legend Tom Delmont, that will release nothing but India Pale Ales.